1. The very best way to decorate around a flat screen TV is to mount it. This way you can really make it look like it belongs up there with the artwork. But if you don’t have a handy husband or wife around to do it, it’s expensive. The installation of our flat screen TV cost $450! 2. Layer art behind it. This way the attention is way more on the art than on the black object on the console. 3. Balance the black TV with a black console underneath. Then it will feel more like an accessory. Keep it alone on the wall above the console or shelf and hang another shelf above it. 5. 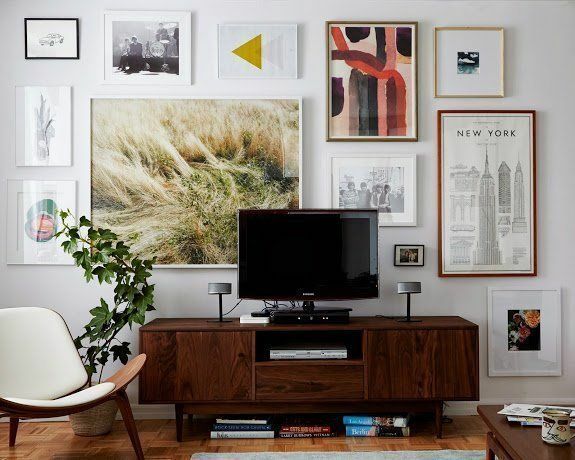 Go with black and white artwork to repeat the black of the TV. 6. Build it right into your millwork but on the right or left side of the mantle. This way, you won’t get a crick in your neck while you’re watching Scandal. 7. On a budget but still want the feeling of millwork? Open shelving and some styling go a long way to creating that effect. Don’t forget baskets right below the TV to hide cords (above). If you would like your home to fill you with happiness every time you walk in, contact us! We would love to help you choose colours, select the right combination of hard finishes or create a plan to pull your room together. 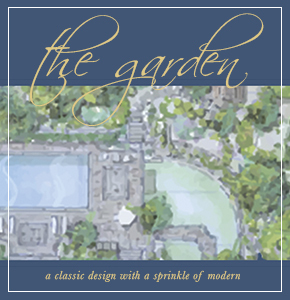 You can find our fabulous e-design consultation packages here. My Sister's New Kitchen: Surprise! It's NOT White or Subway Tile! Get my go-to list of Classic and Timeless Neutral Paint Colours (including white) AND 12 Ways to Create a Colour Scheme if you need to paint right now. It’s Free! Don’t make expensive colour mistakes. Get Maria’s expert colour advice with our convenient eDesign colour consultations. The ONLY way to correctly choose colour is with large samples. With my curated collection of the most useful neutrals you will find the perfect paint colour every time. Updating your exterior? Avoid mistakes and get expert colour training! Join me as I walk you through what you need to know to choose exterior colour like a pro! CEO and Founder of Understanding Undertones. 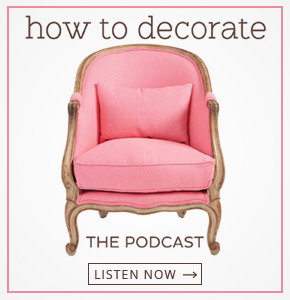 Decorator, author, speaker and internationally sought after Colour Expert. Transform the way you see colour here. *This site IS NOT sponsored by Benjamin Moore. Join over 30,000 people who get fresh content from Colour Me Happy every week!